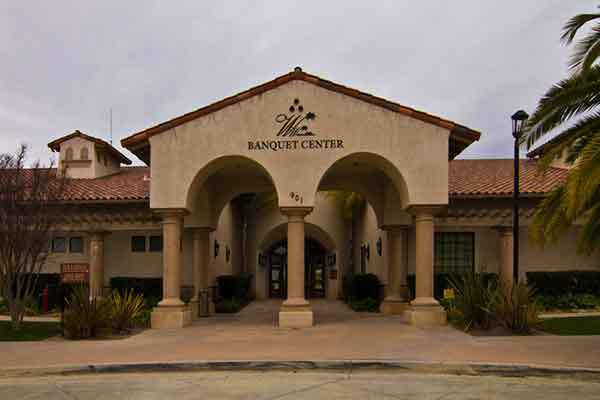 As one of Southern California’s busiest wedding officiants, I can certainly recommend Sterling Hills Camarillo Wedgewood Banquet Center for your wedding or reception. This Ventura County wedding location is located in the hills overlooking Camarillo with the Topa Topa Mountains in the background. 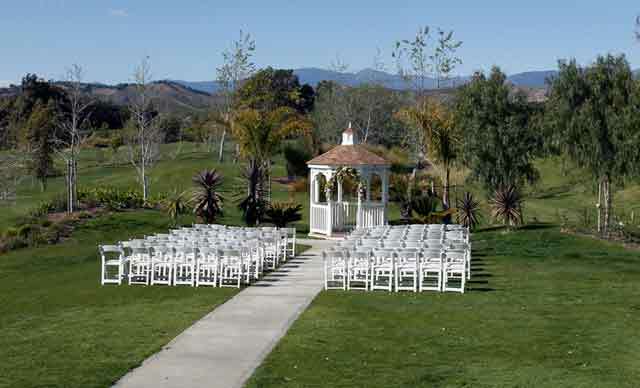 It is one of the best outdoor wedding venues in Ventura County. It’s located at the Sterling Hills Golf Club. Ask one the local wedding officiants and you’ll certainly hear that the Camarillo Wedgewood Banquet Center for your wedding or reception. 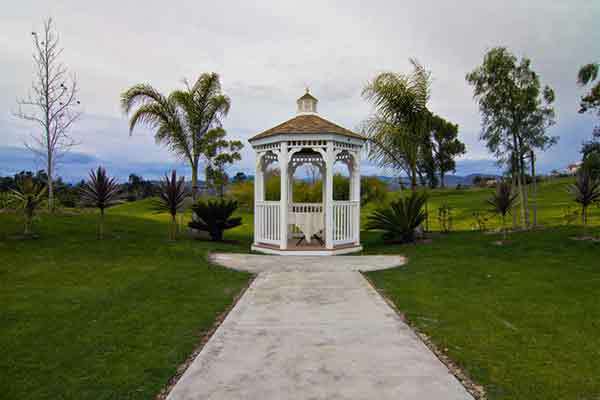 This venue is a picturesque wedding site with a wedding gazebo overlooking the golf course. The banquet rooms have panoramic fairway views. The gazebo or banquet rooms seat up to 225 of your wedding guests. Wedgewood Wedding and Banquet Center is known for great food. The traditional banquet menus can be tailored to meet any taste or dietary needs. The buffets are known for variety and bountiful quantities of both protein and vegetarian options. Nestled in a lush valley, surrounded on three sides by foothills and mountains, Sterling Hills provides a beautiful ambiance Sterling Hills offers the perfect location for your wedding and reception. 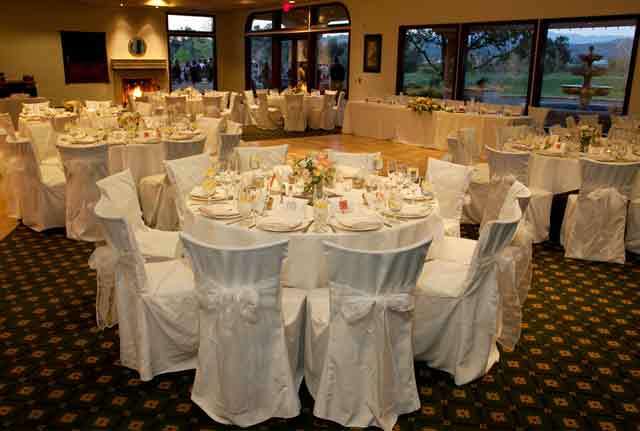 With a staff of caring professionals who will attend your every need and provide the best of service and professional attitude for your Camarillo country club wedding. 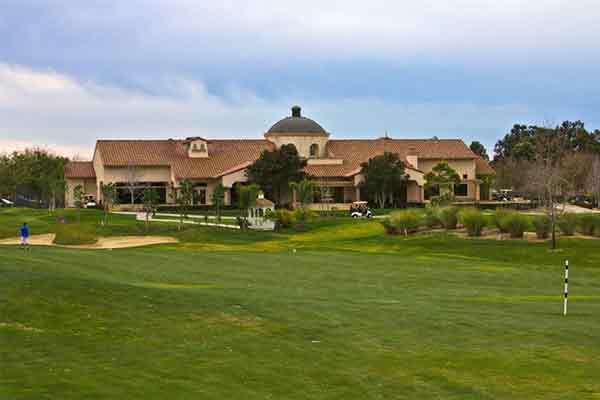 Copy this web address into your browser: http://www.sterlinghillsgolf.com to see more about Sterling Hills Country Club. 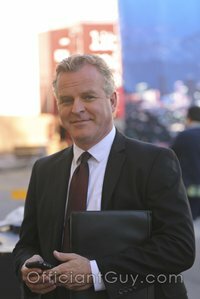 If you are thinking of having your wedding ceremony or reception at Camarillo Wedgewood Banquet Center or anywhere in Los Angeles County or Orange County California then. 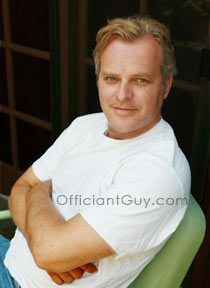 When you are considering wedding officiants keep me in mind, the Officiant Guy.